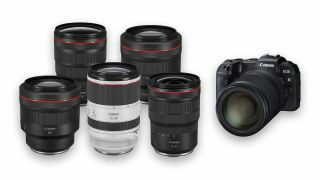 In addition to launching the Canon EOS RP, the manufacturer has doubled down on its full-frame mirrorless system by announcing six new RF mount lenses – five of which are L-series optics, providing serious firepower for the new camera and its bigger brother, the Canon EOS R.
The lenses are, with the exception of the DS and non-L lens, RF reincarnations of their existing EF mount forebears. This will be a seriously desirable lens for portraiture. Like the RF 50mm f/1.2, expect it to be a piece of “glory glass” that acts as a showcase for the strengths of the system. Quite a surprise, this, as it seems Canon is releasing another soft focus lens, which is a boutique product these days. We expect that the (now-standard) control ring will act as the traditional defocus ring to control the foreground and background bokeh. An RF version of everyone’s favourite all-purpose tool, complete with an f/2.8 aperture that makes it ideal for everything from portraits to landscapes to events. Another versatile zoom that will service all your wide-angle needs from landscapes and architecture to interior photography. The must-have lens for many pros, this is a formidable optic for professional portraits as well as sport and wildlife photographers. This RF version appears to be significantly shorter than the EF version, looking proportionally much closer to the EF 70-300mm lens. The only non L-series lens on the list, the stabilised RF 24-240mm f/4-6.3 IS USM superzoom is incredibly compact – it looks about the same size as the Canon EF-S 18-135mm. Due to its size it will make an ideal travel lens, and Canon is pitching it as the perfect companion for the equally-compact EOS RP. These new lenses bring Canon’s grand total of full-frame mirrorless lenses to ten, including last year’s RF 24-105mm f/4L IS USM, RF 50mm f/1.2L USM, RF 35mm f/1.8 Macro IS STM and RF 28-70mm f/2L USM.